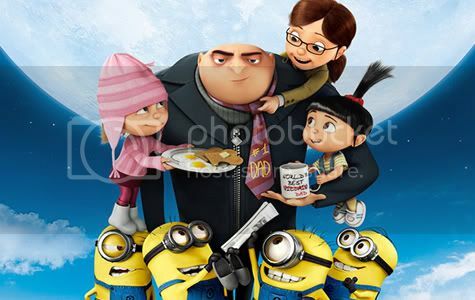 Floriday.co.uk - Despicable Me to Replace Jimmy Neutron in 2012! - Florida Holidays, Disney, Universal, SeaWorld - The best of Orlando! Despicable Me to Replace Jimmy Neutron in 2012! Universal Studios Orlando announced plans to retheme its Jimmy Neutron's Nicktoon Blast attraction with a new "Despicable Me" storyline for 2012. Using high-definition digital technology, the new 3-D "Despicable Me" motion-simulator attraction at the Universal Studios Florida theme park will borrow elements from the animated movie and several film shorts to create a new story line featuring the supervillain Gru, his adoptive daughters and the little yellow minions. Along the way, the audience is turned into minions, trained by the evil Gru, and eventually takes part in a post-show dance-party finale. Coup said it was too early to confirm if any of the film's voice cast, including Steve Carell as Gru, will take part in the theme-park attraction. The long-rumored "Despicable Me" attraction is the first theme-park ride based on a Universal animated film. A sequel to the movie is expected in 2013. Spider-Man Ride to Go HD in 2012!